If you run out of Snacks With Eyes, break out the munchies that double as creepy things to sneak up on someone with the next time you’re watching Alien. 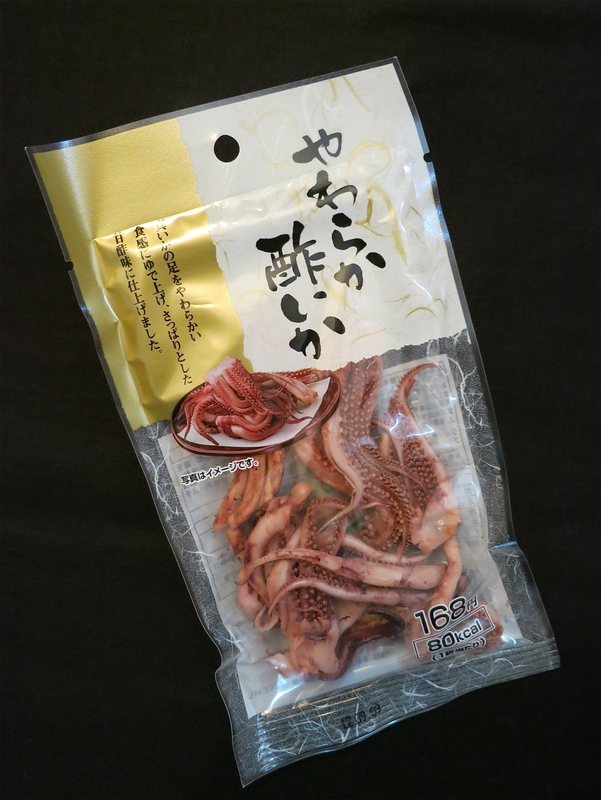 Dried squid snacks are one of the most popular junk foods in Japan – I had a hard time choosing between the many varieties for sale at my corner convenience store. I know they don’t look like something you’d pick instead of Doritos, but they’re actually kind of tasty. Chewy, but tasty. And easy to serve. Note that the beauty shot on the package pretty much looks like all you have to do is dump them out on a plate, and voilá: pass the onion dip!